The contents of our website are intended exclusively for adults over the age of 18. Please confirm that you are of legal age. The world's largest producer of snuff and the leading German, group-independent manufacturer of tobacco products is focusing on quality and further internationalisation. The PÖSCHL TOBACCO GROUP, which comprises - in addition to the head office - the 15 international subsidiaries and holding companies which work only in the field of sales, generated a consolidated turnover of over EUR 530 million in 2018. 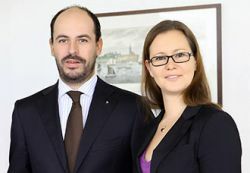 The group of companies, for which worldwide more than 840 employees now work, is run by the fourth generation of the family. The current market position is no reason for those responsible at Pöschl to sit back. As a traditional company, the management wants to continue to give the market new impetus. Especially in independent family businesses, a combination of tradition and a modern spirit of development are an essential prerequisite for the successful production of comsumption products. Pöschl will keep this independence despite the concentration tendencies on the global tobacco market. In the top secret recipes of the around 130 different tobaccos from the Pöschl range, the tradition, experience, willingness to progress and utmost care are reflected. A tobacco blend can consist, for example, of up to 20 different types of raw tobacco. For the production processes, Pöschl focuses on the latest technology - and, as did company founder Alois Pöschl- especially on quality. The employees are regularly trained in quality management. Moreover, Pöschl started in 1995 as the world's first and only smoking and snuff manufacturer with production according to strict quality standards and state-of-the-art environmental management. Accordingly, it is not surprising that Pöschl was certified in 1995 according to standard DIN ISO/9001. Furthermore, we are the first smoke and snuff manufacturer worldwide who was certified according to the International Food Standard (IFS) and immediately reached the best possible certification level. In accordance with the motto of the company founder: "Quality is when the customer comes back and the product does not." 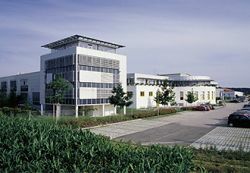 Pöschl has been expanding internationally since the 1960s. From the 1990s, a total of ten subsidiaries were founded in Eastern Europe, France, Hongkong and in Switzerland. Additionally, the company started participations in tobacco distribution companies in Italy, Great Britain, Spain as well as Belgium and Luxembourg. Pöschl now maintains relationships abroad in nearly 100 countries. The management will continue to focus on the further internationalisation of the company. The focus will be, in addition to the (Eastern) European countries, especially the markets of Central and South-East Asia, as well as Africa and Latin America, i.e. regions where the use of tobacco has a centuries-old tradition. ENJOYMENT BASED ON "KNOW HOW"
The production processes are partly subject to self-imposed production targets and the strict guidelines of the German Food Law with the tobacco regulations.In order to uniformly achieve the highest possible product quality, extreme care is required when selecting the raw tobaccos and compiling the mixtures. For the individual production processes, Pöschl Tabak focuses on the latest technology and, more than anything, on quality.